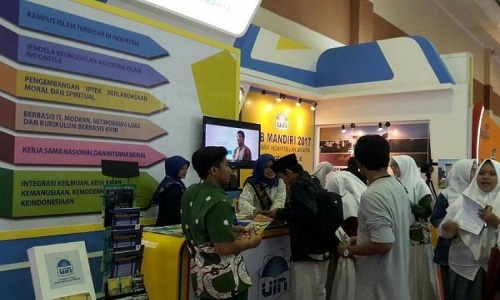 The theme for the 33rd Congress of Nahdlatul Ulama (NU), 1-5 August 2015, in Jombang is â€œAffirming Islam Nusantara for Civilization of Indonesia and the World.â€ This theme implies that there is a new orientation in Islam, not only inward looking, but also outward looking. 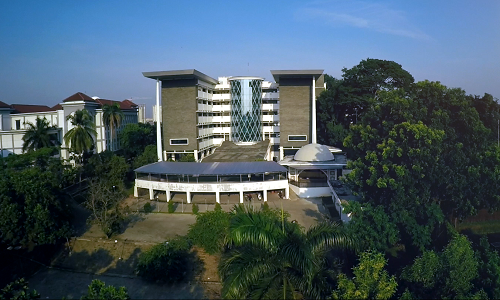 NU is not only dedicated for Indonesia, but also for the world. This agenda is essential not only for NU, but also for Muhammadiyah and other Islam organizations which realized the importance of Tanah Air, nationalism, and nationality as the basis for Islamic preaching. Tanah Air refers to the soil where men stand on and build civilization. Two major Islam organizations, NU and Muhammadiyah with their own distinct characters, have proven their relevance as both a buffer and an anchor in a life of a state and a nation. Even, Gus Dur whose thoughts on nations are very influential in NU states that no matter whatever sacrifices need to be done and however much of prices needs to be paid, Pancasila and NKRI must be defended. The Congress of NU this time has several strategic meanings. First, in between shifting in national leadership in which its government has yet to be stable, NU is pressured to take role on ensuring the new government can run on the right track. As of ideology, there is nothing to worry about. However, the regulations being taken should not give hard time to the community. Second, the Middle East which has been the center of Islam world is currently undergoing a tremendous political instability. The Arab Spring that is blowing in to the region since 2010 has, in fact, given no significant contribution towards betterment. There is still many parts of the Middle East that comes to a boiling point, where wars, killing, and other acts of violence is not uncommon in between the muslim society. The emergence of ISIS also adds up to the problematic situation. Third, there is currently shifting in geopolitical situation and maps of alliance in responding to several issues in the international world today. Despite the perception calling Islam as a threat to modern values, the religion undeniably possesses an important role in giving directives to the worldâ€™s affairs. Also, Islam has been improving in many parts of the world, looking through aspects of qualitative and quantitative. In developed countries like United States, France, United Kingdom, and Japan, Islam is among the most rapid growing religions existed, as the result of conversion and migration. This fact is getting more interesting if we look into the projected maps of worldâ€™s religions released by research center on demography Pew Research Center (PRC) on April 2015. The research entitled The Future of World Religions: Population Growth Projections 2010-2015 provides various processed data, like age, natality and mortality rate, migration and conversion rate, and current population of worldâ€™s major religions. In 2010, there are 8 major religions that has the biggest population in the world: Christian 31.4 percent, Islam 23.2 percent or 1.6 billion people, Hindu 15 percent, Buddha 7.1 percent, local beliefs 5.9 percent, Jews 0.2 percent, unaffiliated (such as atheism and agnosticism) 16.4 percent, and others 0,8 percent. PRC has projected that in 2050, population of muslim will rise to 29.7 percent (2.76 billion people). Christian is stable with 31.4 percent. Percentage of muslim and Christian is expected to be equal in 2070, which is 32.3 percent. In the next three decades afterwards, or in year 2100, muslim has grown into 34.9 percent and Christian 33.8 percent. This research also shows atheist, agnostics, and other unaffiliated parties, though rising in United States and France, decreased in a global scale to 16.4 percent in 2010 and will continue to 13.2 in 2050. Meanwhile, other religions, like Hindu, Buddha, and Jews, will not have significant improvement in the next four decades. What is the meaning of this data for NU and Islam community in Indonesia? Indonesia as the worldâ€™s biggest muslim population and NU as (claimedly) the biggest Islam mass organization in the world, most obviously have their interests on stake. The big question is whether the muslim growth will bring peace to the world, or oppositely become the source of threat. Looking through this glass, one can firmly say that NU has a big interest in ensuring the development of Islam is striving towards world peace. Ever since its birth in 1926, NU has shown its relevance as a socio-religious organization that continuously integrates into the nationâ€™s spirit. The founders of NU, which are Ulama, has not only established the organization on a firm foundation of nation and state building, but also has given excellent example of how to be a good muslim in a multicultural nation. Islam which was practiced by the Ulama of NU is a model accommodative to every differences. The footsteps of NU vision can be seen clearly and has been the topic of discussions from Congress to Congress. The vision is shaped and resulted from the NUâ€™s religious perception, specifically the practice by its Ulama. This is the uniqueness of NU. Every decision made, including politics, is based on dalil(lit. trans. verse) and religious argumentation or fikih. In 1938 Congress in Menes, Banten, for example, NU claimed Hindia Belanda as dar al-Islam, which means a territory where muslim is accepted though not based on Islam practices. 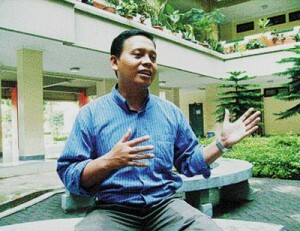 NU argued that muslim can practice their sharia and its territory was once ruled by muslim leaders. This kind of perception is very typical of Sunni in validating and embracing a political authority as long as it gives benefit for Islamâ€™s development. With the principle of tawasuth (moderate), tawazun (balance), and Iâ€™tidal (just), NU is able to balance up between aspects of Islam and Indonesia. Though 87 percent of Indonesiaâ€™s population is muslim yet Indonesia is not an Islamic country, the affection NU has for Indonesia is not becoming less. NU has many times proven that Islam and Indonesia are not opposition of each other. In contrast, both can live together harmoniously. Not merely a political discourse, the religious perception developed by NU makes both Islam and Indonesia able to live side by side. In conclusion, traditional Islamic schoolâ€™s Ulama has inherited a very valuable legacy for Indonesian society. NU has shows itself as a capable religion that can spread mercy throughout the nation. It is time for values of struggles embraced by NU to be spreaded all around the world. Considering this a capital, NU with all elements of Indonesian society should be able to make change in Islam orientation. The change should take form of shifting from internally focused perspective, towards progressive outward looking so Indonesia can be influential in giving contribution the worldâ€™s civilization.